In the digital age, the more content goes online; the more restriction follows the road. Suppose, you get something as an exclusive in the US, but geological restrictions prevent you from downloading the same if you are connecting from India. Well, availability of services is a different thing, and the restriction of content availability is a different story. So, to make online content available across the world, the best VPNs are utilized for bypassing geological blocking. While apps like Psiphon help bypass restrictions and content blocking, there are other important things that a VPN app like Psiphon pro would help you achieve. For instance, when you connect to a free public Wi-Fi, your activity may be monitored (sniffing). So, to keep your online activity protected no matter what type of network you are connected to, a VPN always routes the traffic through its secure tunnels which ISPs can’t track and the location you’re connecting from can be spoofed as well. All the great things that the VPN app – Psiphon Pro – can do being an open source service. But, are there alternatives to Psiphon? As per your requirements is there something better more focused for your cause when compared to Psiphon Pro? Let’s check them out! In this post, we’ll find out the other similar Apps Like Psiphon. Orbot is probably the best VPN/proxy app that is known to exist for Android. Yes, it isn’t available for iOS, so if you encounter app at the App Store, that should be considered deceptive. 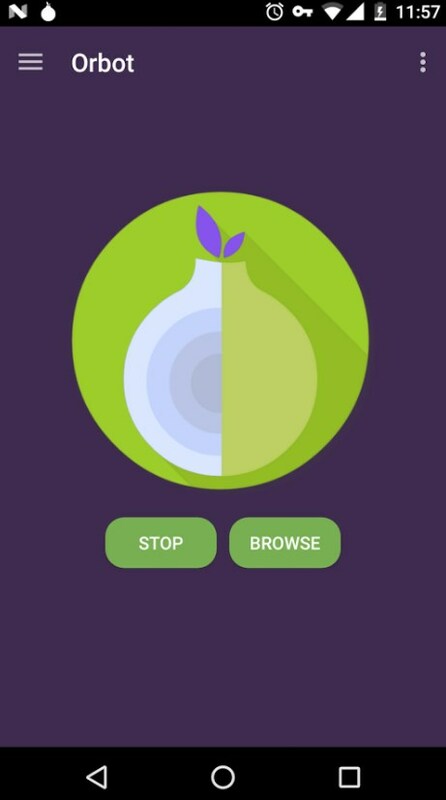 Orbot may not give you the fastest speed when connected to the proxy but it surely the most secure VPN app that utilizes Tor network for the internal communication. With Orbot installed, your online activity would be a lot safer than without it. However, it is advisable only if you have a high-speed Internet connection to use the VPN with – so that you may not notice a huge difference while surfing the web. It is not a user-friendly app, and neither is meant to be one. So, if you take your online privacy and security very seriously, only then you should utilize this. And, to bypass a simple geological restriction and a refreshed IP address, you can choose to utilize any of the VPN apps available out there. While free VPN apps aren’t the best choice. But, it’ll at least do better than how ISP tracks your activities. Any VPN is a choice to protect your privacy if you do not want direct parties connected to you to get your information about your browsing activities. Such a great VPN app like Psiphon Pro is Hola app. It a free VPN app with no paid packages. You might think of the service as something fishy, but it isn’t. 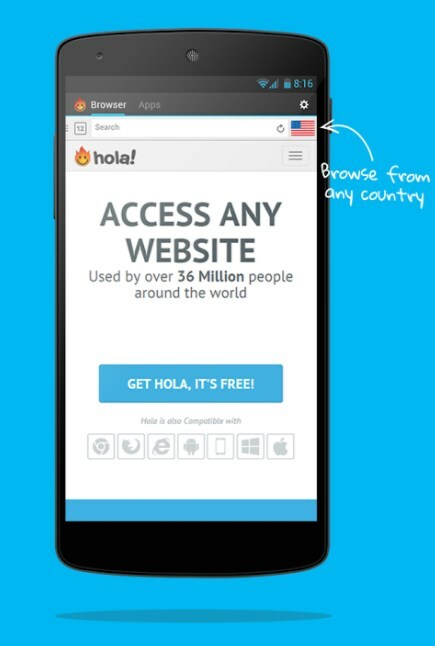 The concept of Hola VPN revolves around the community. It utilizes your devices and networks to establish a peer to peer communication which makes it possible to run the VPN service for free. It is intelligently managed without any harm done to the user. However, if you do not want them to utilize your idle resources, this is a deal breaker for you. 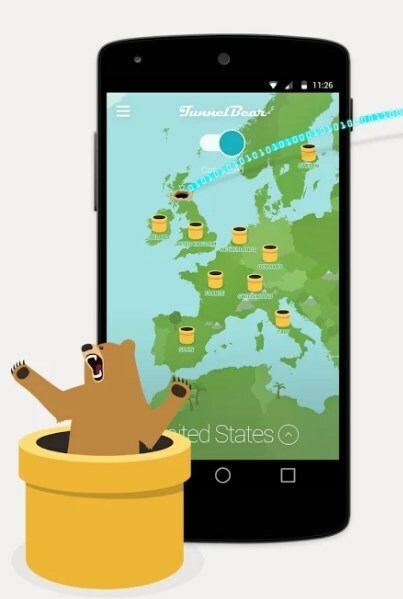 TunnelBear VPN is an ideal choice as an alternative to Psiphon. The only concern would be the pricing plans. Well, in reality, the paid plans are one of the cheapest pricing plans available. However, for users looking for free VPN apps, this wouldn’t cut it because of its low data limit on the free plan – which is pretty useless – unless you want to utilize it for rare browsing activities. It is a must-have app like Psiphon if you are prepared to get a subscription. 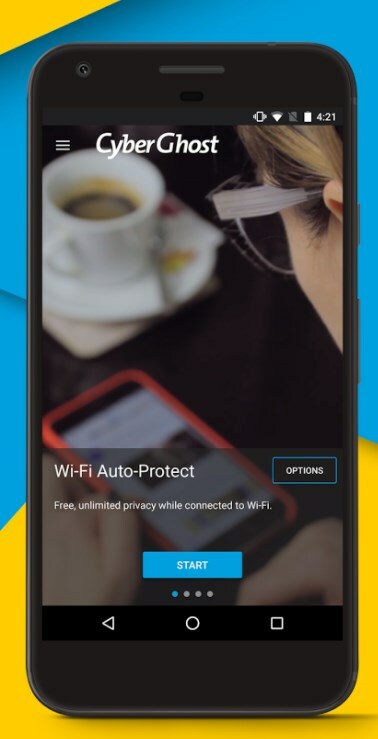 Hotspot Shield VPN is yet another incredible app like Psiphon. However, it does require you to subscribe to a plan to be able to utilize the VPN service. The pricing plans are similar to the ones offered by other VPN providers. If you want the best server speeds across a variety of networks, Hotspotshield should be your preference. It is available for Windows, Android, iOS, and Mac as well. 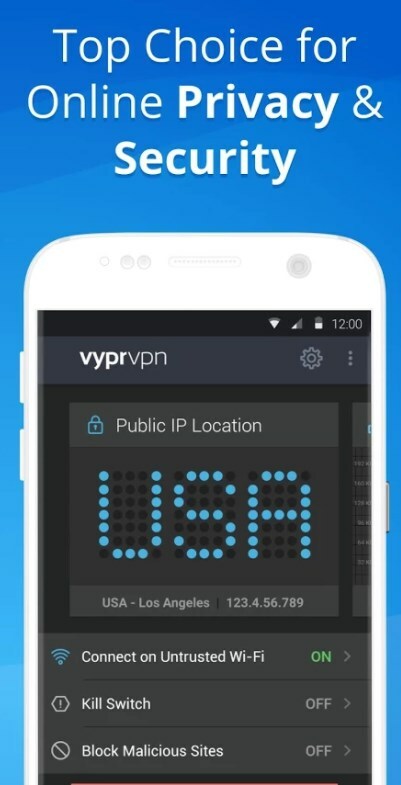 VyprVPN is an interesting app like Psiphon. It is popular due to its state of the art encryption techniques. It is even helpful to bypass a network with anti-VPN measures, i.e., dubbed as the chameleon protocol of encryption. VyprVPN does offer a 3-day trial period if you want to check whether the encryptions and features mentioned are a gimmick or really does work. It is a fantastic app like Psiphon with no free plans included. However, it does offer a 30-day money back guarantee, so you can test it to ensure that the service is as you expect it to be. CyberGhost focuses on both privacy and speeds that matter to most of the users. The user interface of the applications available across different platforms is impressive as well. If you are not sure if you need a VPN for your usage, give this a try and get your money back if you do not feel like continuing it. Also Read: How to Fix VPN Error 720 (error 720 VPN Solved)? 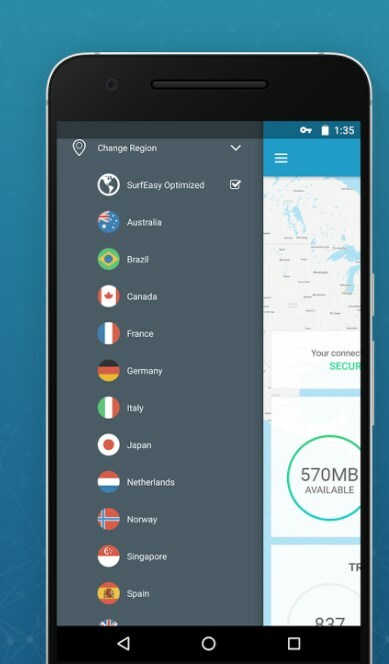 SurfEasy Secure Android VPN app offers a free plan for starters with a data limit. There are ways to earn more data as rewards if you continue using the app. However, it is still a very impressive VPN app like Psiphon with one of the cheapest offerings. In this list, SurfEasy proves to beat all the other pricing plans. Somewhat like the previous, it offers a 7-day money back guarantee if you do not like utilizing the app. The user interface for Android is decent and very responsive. I could relate using this for a couple of confidential web connections, and it worked like a charm without any hiccups. 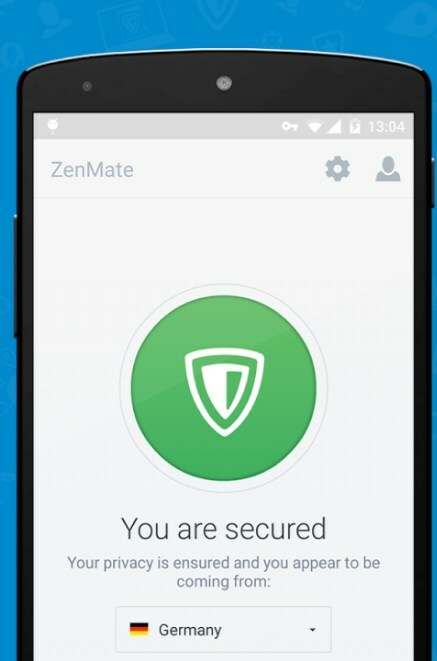 ZenMate VPN is a popular choice for professional hackers (at least for the ones I met with). While the consumer base isn’t too big. But, hackers know their way of tracking information, and hence they recommend this to keep yourself in check. Zenmate offers regional pricing which proves to be a lot cheaper than what you pay regarding USD to other VPN providers. You should check that for your country, and it could be even cheaper than what SurfEasy offers. I’ve personally utilized Zenmate service for a long time, and I didn’t have a problem back then. While there might be a lot of apps like Psiphon but not every one of them offers you to protect your online privacy for free. 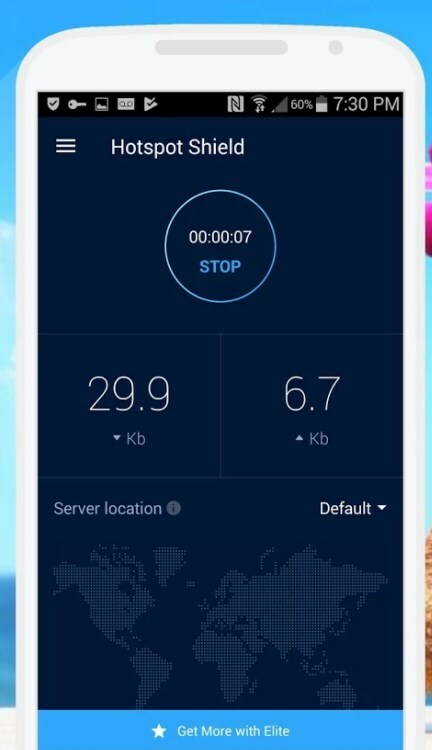 Do note that the VPN performances differ according to your network and the server region you are connected to. So, you need to keep that in mind and accordingly test drive any one of the recommended apps like Psiphon from the list. Do you know of a better alternative to Psiphon? Let us know your thoughts in the comments below. TRP Guides: How to Keep Your Android Device Secure?